In 2016, The Governor’s Prevention Partnership undertook a new initiative to reduce chronic absenteeism at Simpson-Waverly School in the North End of Hartford. 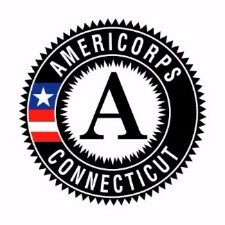 The Partnership received funding through the Connecticut Commission on Community Service, the state entity that administers AmeriCorps programming.Ten AmeriCorps members were chosen to work with 90 students in grades 3 – 8 to reduce chronic absenteeism through mentoring, academic support, and family and community engagement. The objective of this comprehensive school-based mentoring model is to provide a successful experience that can help youth with attendance challenges and overcome barriers that prohibit them from achieving academic, social, and personal success. The Governor’s Prevention Partnership collaborated with the Hartford Public Schools to address the issue. The EdCorpsCT program is designed to help students manage their emotions and recognize consequences and peer conflicts without resorting to physical violence or verbal abuse. The mentoring strategy consistently connects students with a supportive school network and improves overall daily attendance. With the closing of the Simpson-Waverly School in June 2018, the EdCorpsCT program has moved to the Fred D. Wish Museum School in Hartford.